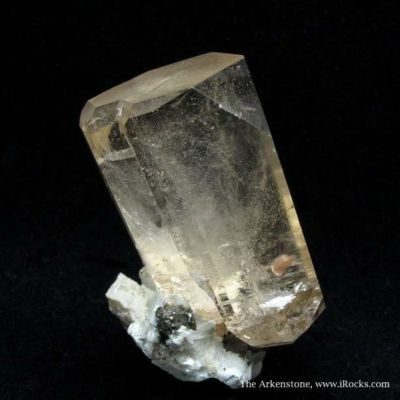 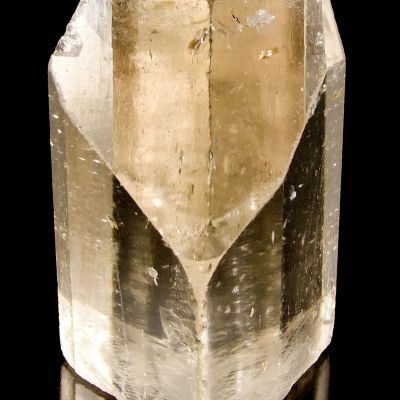 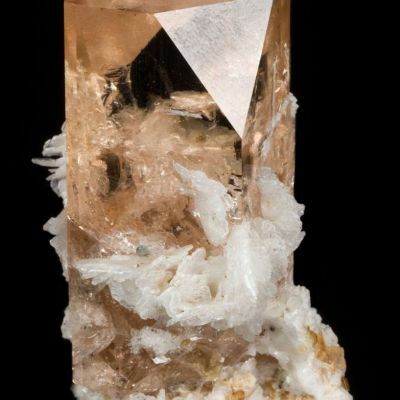 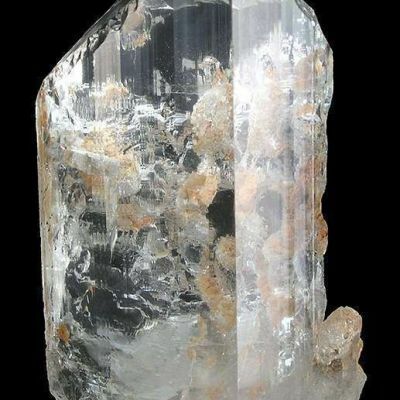 Emplaced aesthetically on bladed white albite matrix is an elongated glassy and gemmy, cognac-colored topaz crystal measuring 8.8 cm in length. 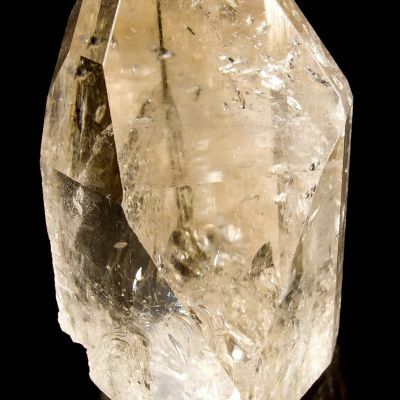 The base of the crystal is "rehealed" (terminated!) 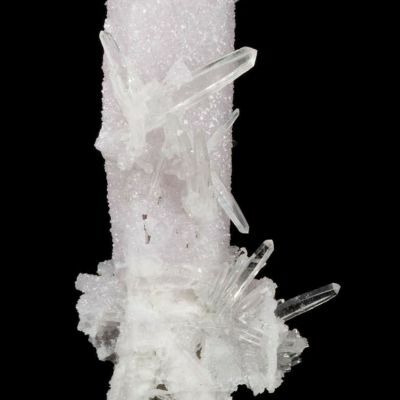 and the termination exhibits very nice growth hillock patterns. 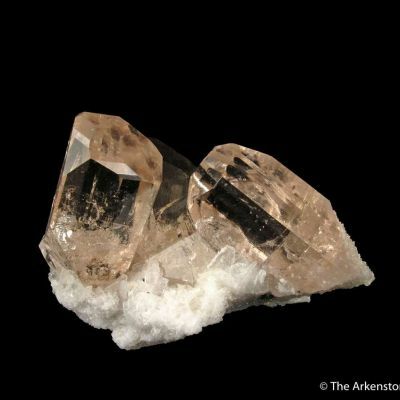 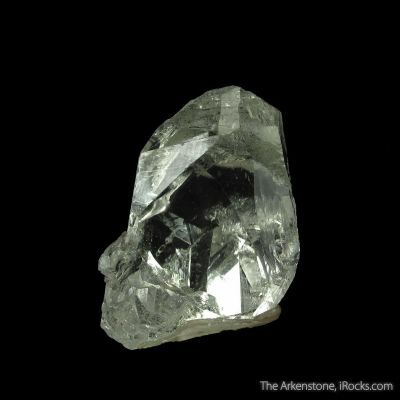 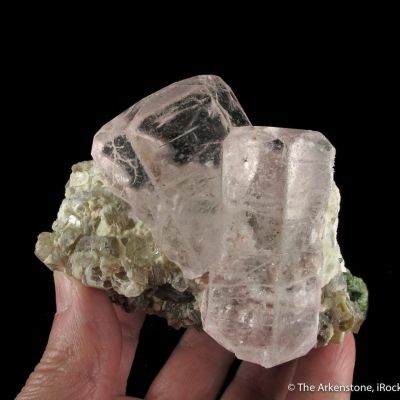 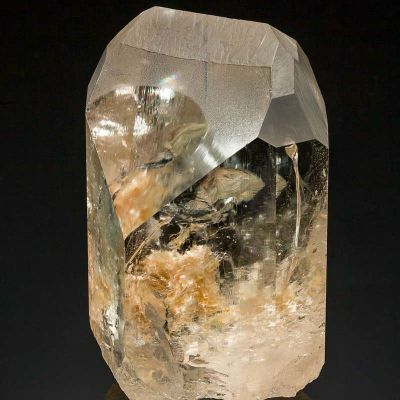 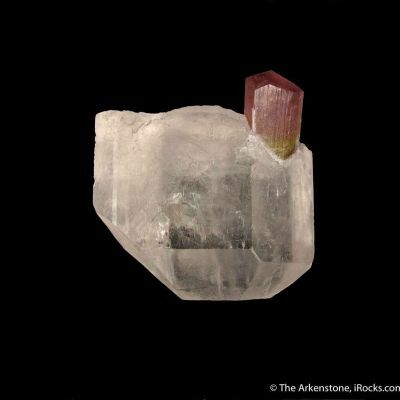 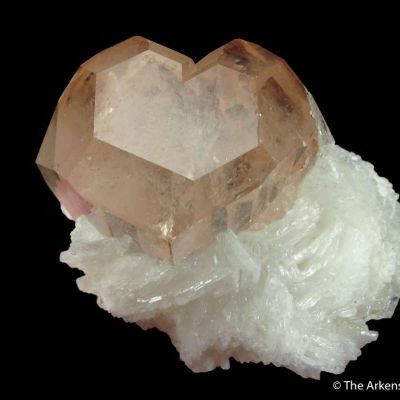 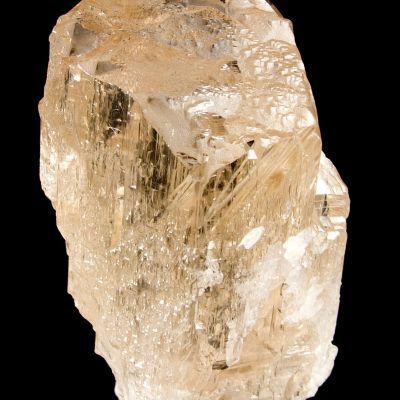 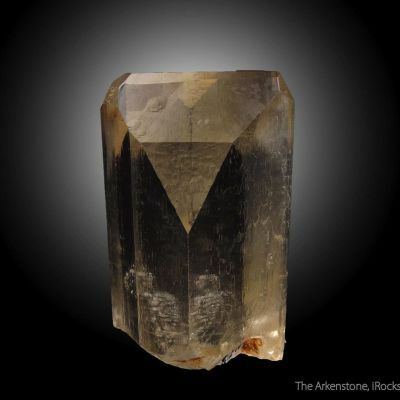 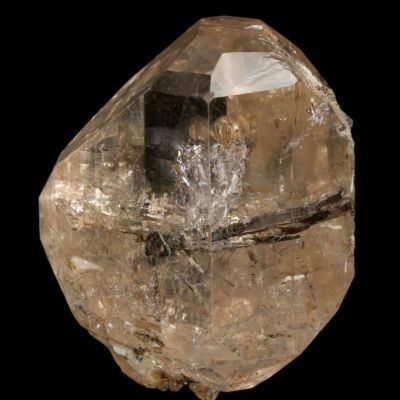 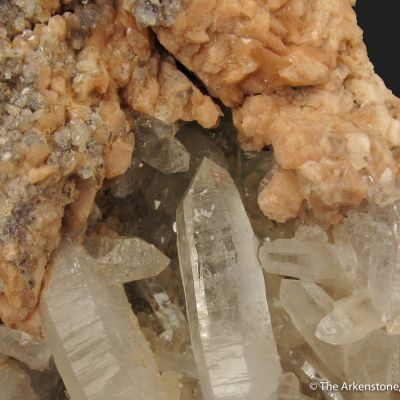 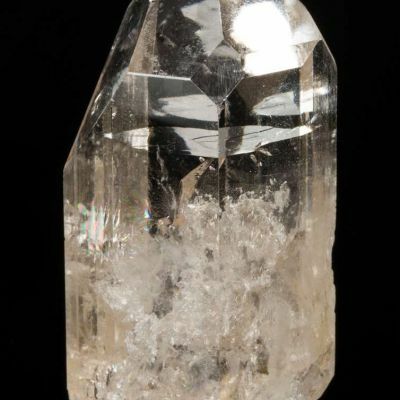 The topaz crystal clearly shows a few internal cracks created during tectonic movement but did not break and is not repaired. 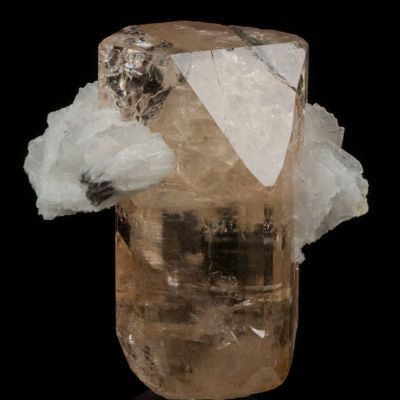 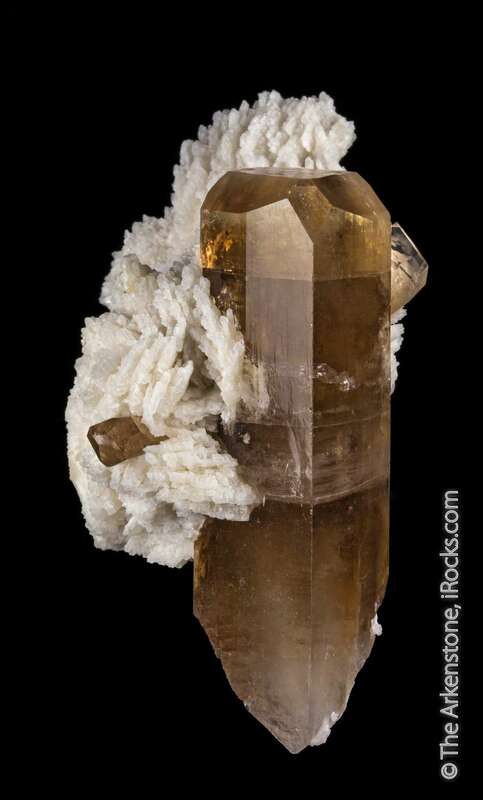 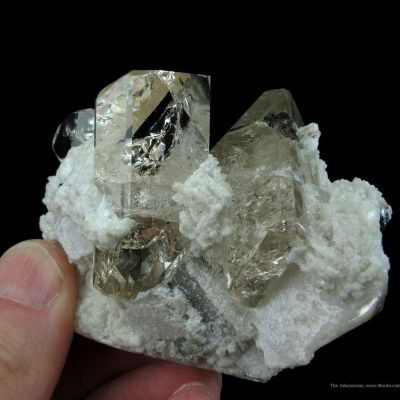 Two, smaller, glassy and gemmy topaz crystals are also perched on the matrix. 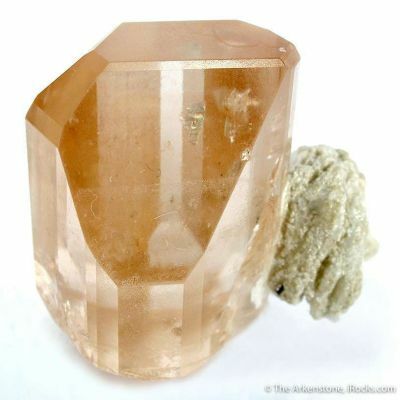 Overall, this is just a really attractive combo piece with a large and very colorful topaz, especially in the price range.